Coming up this weekend is the 16th annual Indian Wells Arts Festival March 30, 31st, and April 1, 2018. This colorful and diverse art festival features more than 200 artists across the nation traveling as far as Japan, Africa, and South America. They showcase contemporary and traditional fine art and high-quality craftsmanship. The world-famous venue, the Indian Wells Tennis Garden, gets transformed into a beautiful art Village with festive outdoor marketplace booths, thousands of one-of-a-kind unique pieces, and jazz melodies floating in the air. There's food, cocktails, open-air pavilions and hands-on demonstrations. You're likely to see textile weaving, painting demonstrations, and sculpting. There are even interactive activities for the kids including an art station and free commemorative photo opportunity. 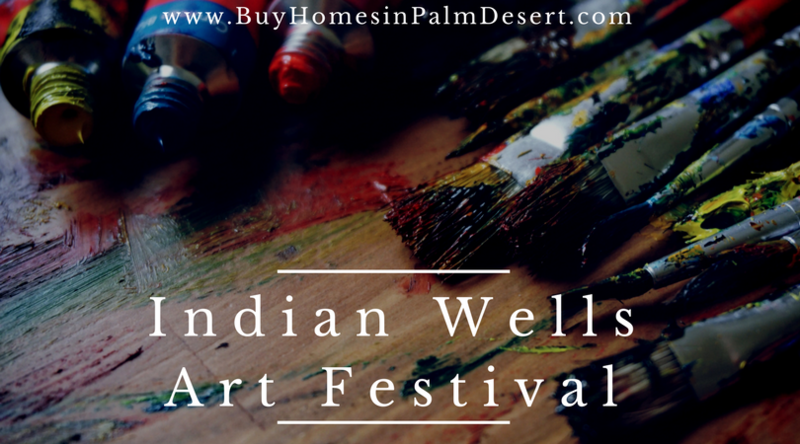 The Indian Wells Arts Festival ranks as one of the top best art shows in the country and one of the best art festivals according to Palm Springs Life Magazine. Tickets are just $13 at the gate and children under 12 are free. The event is held every day from 9:00 AM until 4:00 PM and there's free parking as well as valet available. Whether you're staying one day or all, you have to check out the eggs and champagne in the garden brunch on Saturday and Sunday until noon. There's a variety of featured artists, photographers, and sculptors with award-winning designs and pieces sure to stand out. There are over 30 mediums and different categories ranging from painting and sculpture to jewelry and wearable fashion. Over 10,000 attendees are likely to be expected on the three-day event coming from not only local neighborhoods but across the country. There are more than 28 countries and 20 states represented at the art festival with works being exhibited at over 60 major museums and art institutions including the Smithsonian and the San Diego Museum of Art. There will be large-scale stone sculptures glass art from glassblower Bruce Freund. Beautiful colorful tapestries all from textile artist Antonio Mendoza and dozens of other mediums, artists, and boots. Of course, you have to check out the Gourmet Marketplace where artisans bring their talent into the kitchen as well brewing up pure maple syrup, brandy barrel aged syrup infusions, to recruit organics, and black and white truffles as well as hot sauce, preserves, dressings, and marinades. There's so much to do and see that you might want to come back the second day. Visit the website for more information or we'll see you at the Tennis Gardens in Indian Wells.